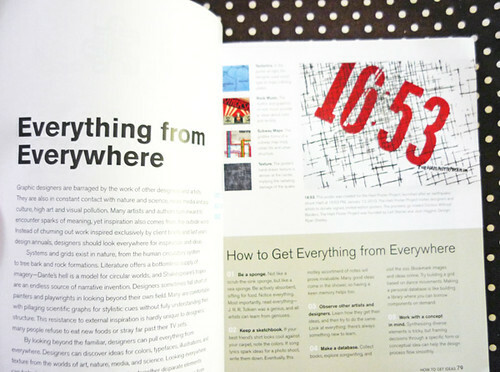 Have you ever felt you needed to do more with your marketing materials? What if you could have your artwork stuck to a person’s attire – ready for them to stare at the whole day? Well if you answered a big fat YES to the above, today is your lucky day! Today’s sponsor giveaway comes from the lovely folks over at Busy Beaver Button Co, who are going to seriously rock your promo-material socks off. 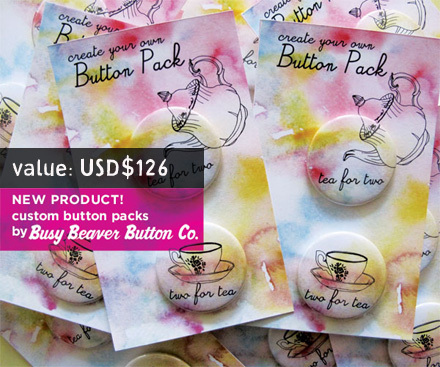 One lucky winner will receive 50 custom button packs complete with their artwork valued at USD$126! This medium sized button package is perfect to showcase multiple button designs. And get this – you don’t just get the buttons – in addition to the two securely fastened 1.5-inch buttons you’ll also get a full color card that becomes a backdrop to your buttons too! Deadline for the giveaway is 22 November 2011, so hurry! Also, the Busy Beaver Button Co would like to offer a special $5 off coupon code for all Pikaland friends. Just enter PIKALAND at checkout on their website. This coupon code is valid until December 31, 2011! *UPDATE: Commenting has now closed, thanks so much for participating. The winner of this giveaway is Michelle as chosen via random.org! I didn’t know anything about coding and programming 5 years ago, but I picked it up so that I can build Pikaland and many other projects since. I’ve found that the black and white world of programming (albeit I was merely doing it as an amateur) was an experience that was almost the opposite of creating art – it wasn’t subjective, it either worked, or it didn’t. Learning HTML, CSS and PHP among many other things was a challenge. But it’s through challenging ourselves that we grow. We change as a result of stretching our capabilities beyond our comfort zone – I knew that I could learn so many new things if I tried hard enough, and if I was determined enough. How can you be better mentally? You need to do daily creative exercises. Things like drawing a bird 100 ways (or see here for a list of 100 things to draw). Or a face a day. Or list out 10 ways to market yourself better. Things that stretch the mind a little bit each day. 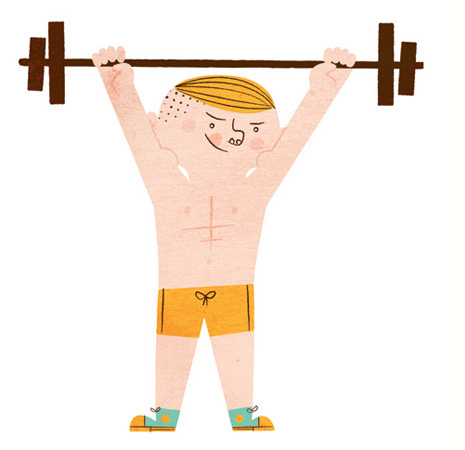 Creativity is a muscle that needs to be stretched constantly – otherwise it withers up and die. What are you afraid of? Take small steps that will help you get over the fear. Afraid of that blank piece of paper staring back at you? Make a mark – any mark at all. Just start. To create great art, you need to be brave – throw out those emotions in your work and let your passion show. Find out what makes you tick. Explore themes in depth and bring your personality to the table. When I was in high school, I was juggling taekwondo, gymrama practice, and volleyball. I played hockey, and netball too. I ran, skipped and hopped my way around. In short, I love being active. In fact, when I don’t get to skip or exercise for a week, I’ll be feeling a little antsy. And then the mood swings begin. Which leads to frustration, and a vicious cycle of snacking. The point is – make a point to exercise. I do it almost everyday. I try to do it once in the morning and another session in the evening. I skip rope, practice mat pilates and walk my four dogs. I follow the Nike Training Club app on my iPhone (I’m now on 1350 minutes!). I swear just a wee bit when I follow the routines, but I do so because it’s my way of venting and pushing my way past the pain. I feel stronger when I’m in control of my body. So have you challenged yourself lately? I like breaking things down. And what I mean by that, is that I like to see things and then break them down (not make them cry!) into more manageable chunks of information, so that I am able to process them. 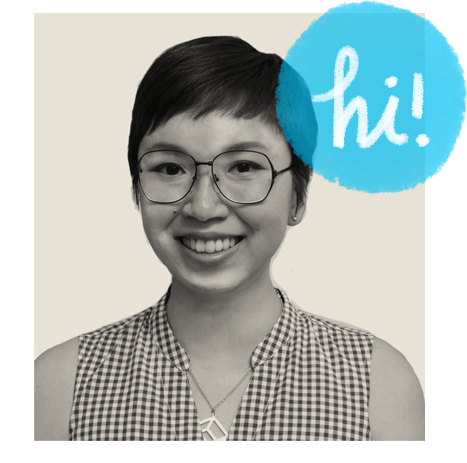 I am constantly searching for meaning behind illustrations, designs, graphics, advertisements – anything that inundates my daily life. 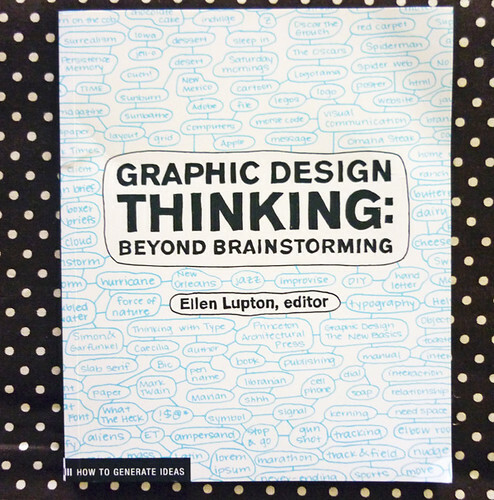 So I am thrilled to share with you the book that I think should be on every creative’s bookshelf: Graphic Design Thinking: Beyond Brainstorming by Ellen Lupton. At the rate at which we are going, it’s safe to say that almost nothing is completely original. Almost everything is an amalgamation of ideas, process and experience that makes for something new. 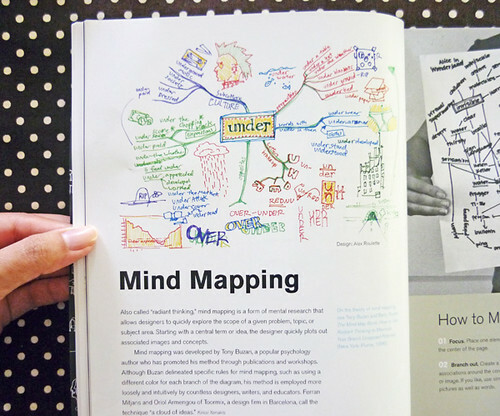 Graphic Design Thinking shows you how to dissect a problem or a brief and throws out various ways of thinking about your project. 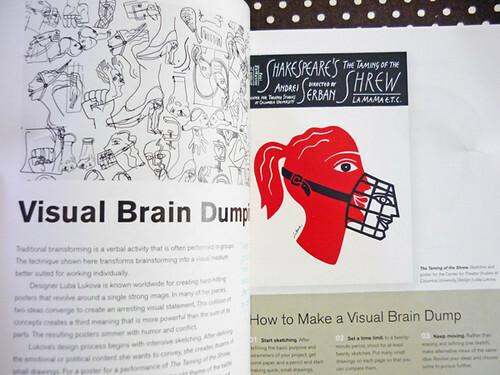 This book isn’t just for graphic designers – it’s for illustrators, copywriters, project managers – anyone who routinely solves problems (although it’s mostly geared towards those who are in the visual arts). 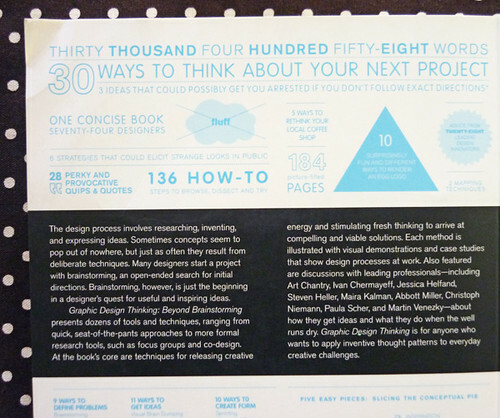 Divided into three main parts; How to Define Problems, How to Get Ideas and How to Create Form, the book aims to help you focus on the project at hand, while narrowing down possible solutions. Case studies from various design studios make up a good chunk of the book and really helps to nail down the points brought forth. You can purchase the book over at Amazon! 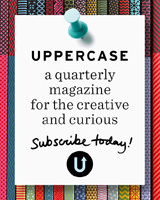 P/s- Have you signed up for our mailing list so you won’t miss out on any Pikaland loveliness?